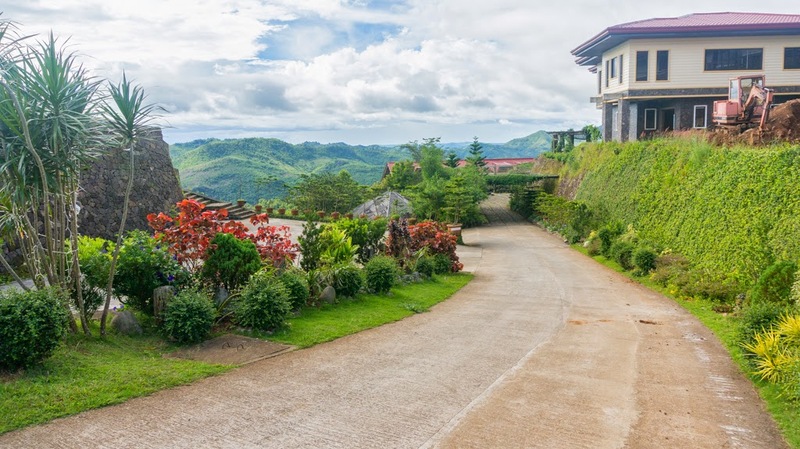 If there's a place near the metropolis that is comparable to Baguio and Tagaytay's mountainous backdrop and frigid weather, it would definitely be Rizal's underrated municipality of Tanay. 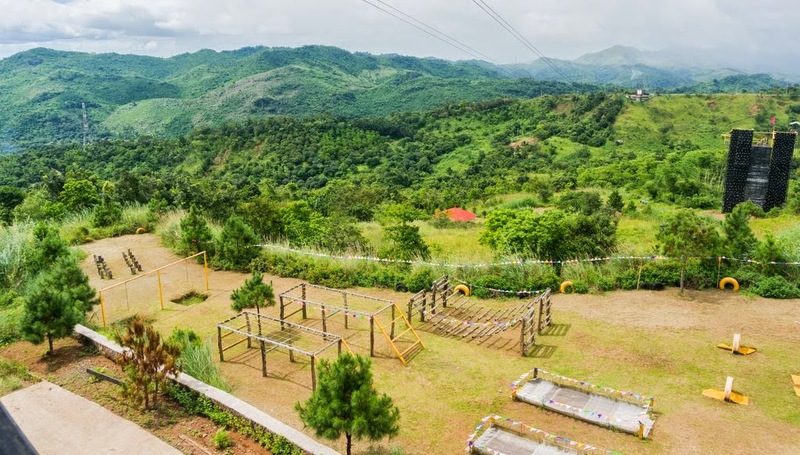 Since our supposed Surigao trip was canceled due to a series of unfortunate events, we've decided to just spend the weekend to one of the newest camps in Tanay, the Ten Cents to Heaven Leisure Camp and Resort. It was a sunny Sunday morning and I was a little groggy when we were on our way up to Ten Cents to Heaven in Tanay, Rizal. I was awake but feeling dizzy, like a zombie-- it felt like I was detaching from reality-- (that's a little exaggeration). But honestly, I wasn't feeling very well that day. I was exhausted, I just came from a long-hour bus ride from the North and I wasn't really ready for another daunting long drive. 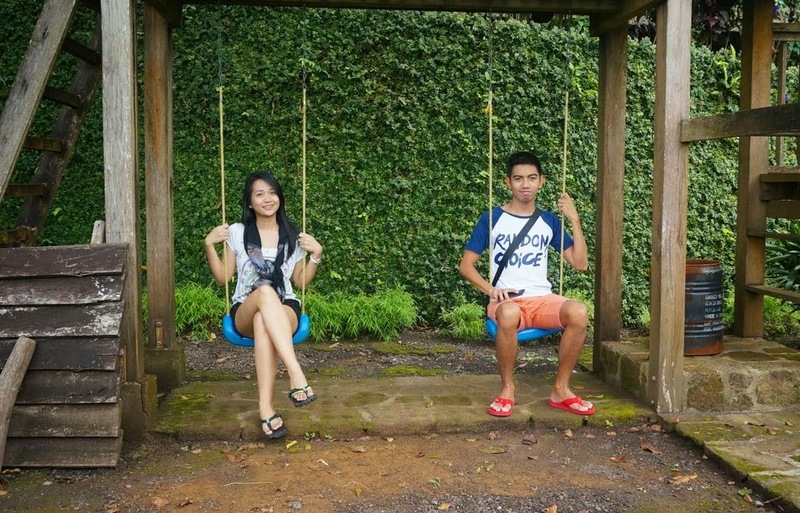 Although I was tired as hell, our road trip to Tanay was surprisingly short and relaxing. It was just an hour drive from Marikina City. Accompanied by an energetic (bumabawi) buddy and some laid back music, the trip to Ten Cents to Heaven was definitely worthwhile. We were rewarded by wonderful scenery along the way and were embraced by a naturally cool weather upon arrival. 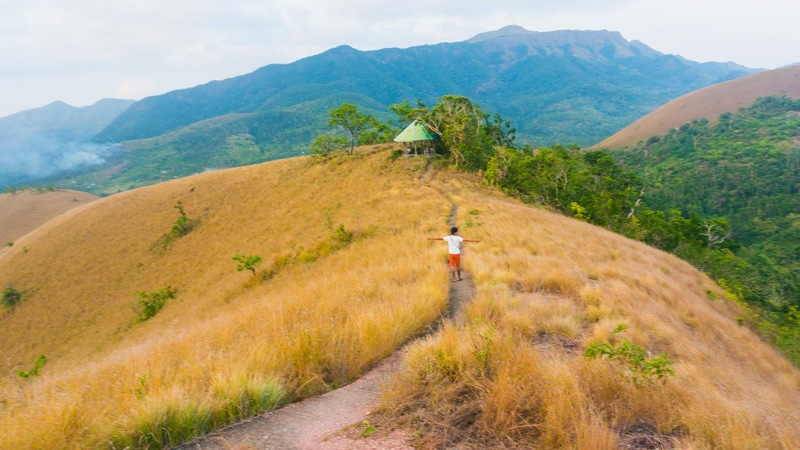 Tucked in the picturesque town of Tanay, Ten Cents to Heaven is a huge leisure camp cradled atop the mountains and verdant hills of Rizal. 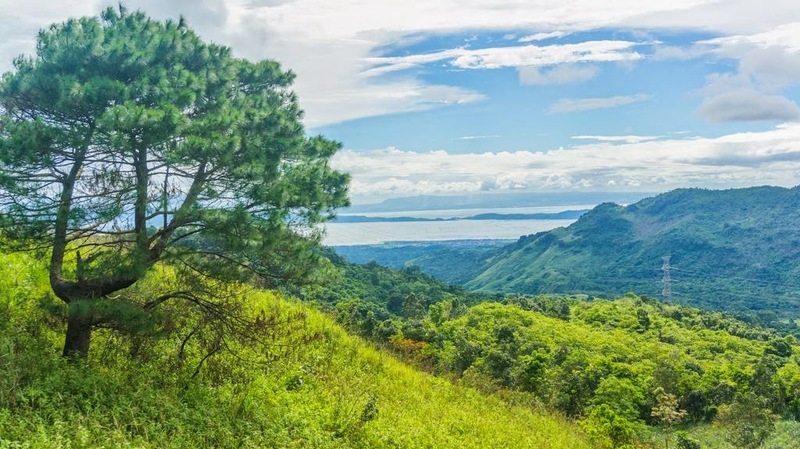 Offering a scenic view of the Sierra Madre mountain range and Laguna de Bay, Ten Cents is perfect for group activities as well as romantic escapes. 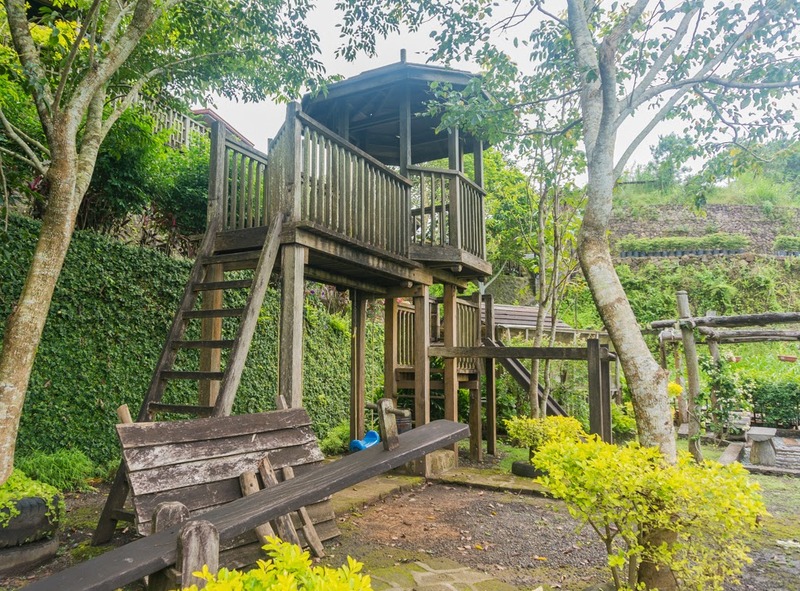 It offers different recreational activities such as zip lining, wall climbing, swimming, hanging bridge crossing etc (perfect for team building). Just make sure to coordinate with them ahead of time as they seem to be a bit unorganized (maybe because it's off-peak season). The people manning the resort were courteous but seem understaffed. They could have done better, service wise. Nevertheless, I still love the place. Waking up with this kind of ambiance is without a doubt, a very relaxing experience, a pamper-filled escape from the bustling city life. Though I find the Sierra Madre Hotel & Resort a lot better, (a place that serves the best breakfast in Tanay --just a few meters away from Ten Cents) I must say that Ten Cents is a good place for retreat and recreation. 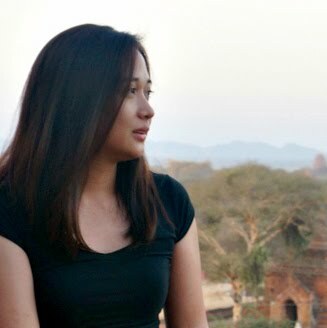 Vigan, well known for its preserved cobblestone streets and blended Philippine/Spanish architecture has been selected as one of the 21 finalists in the search for the New7Wonders Cities of the World. Let's help make it as one of the new New7Wonders Cities by casting our votes. Without a doubt, Guardians of the Galaxy is one of the most enjoyable movies Marvel has ever made. It is brimming with underrated but adorable characters. And my favorite would definitely be Groot! The innate kindness and sensitivity of this human-tree really captured my heart. Plus, the dancing baby Groot was a truly delightful thing to see. How can anyone resist the adorable dancing Groot? I am drawn to dining places with unique themes and interiors. Good thing there are lots of such places in Marikina. 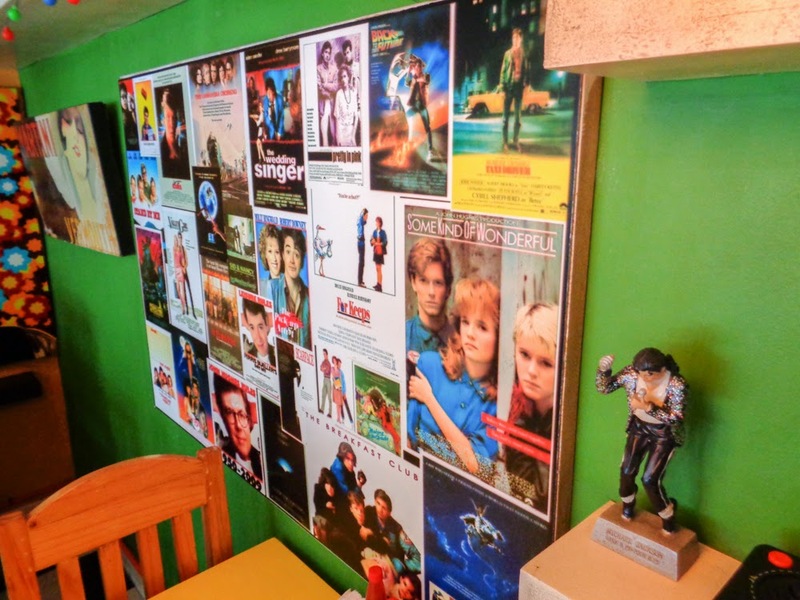 One of which is the '80s themed Some Kind of Wonderful Cafe. 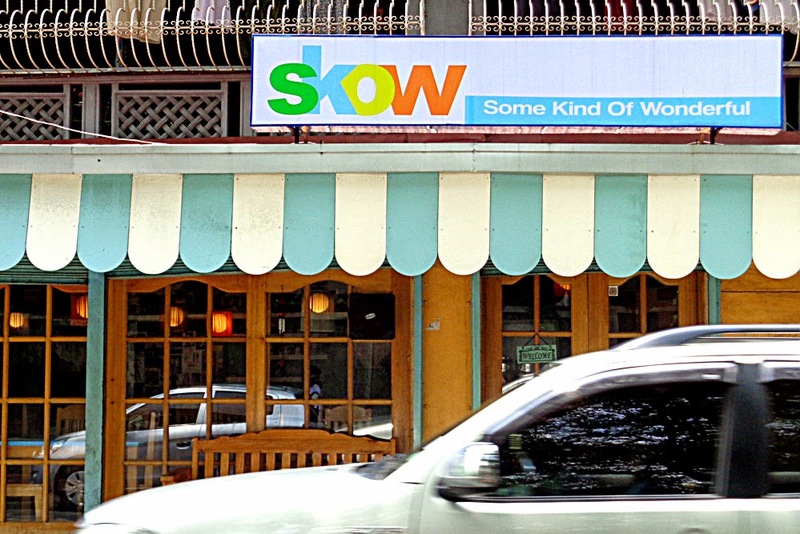 You read it right, 'Some Kind of Wonderful' is the name of the restaurant, more popularly known as SKOW in Marikina. It was a Saturday afternoon when we drove all the way to Marikina Heights for a late lunch. 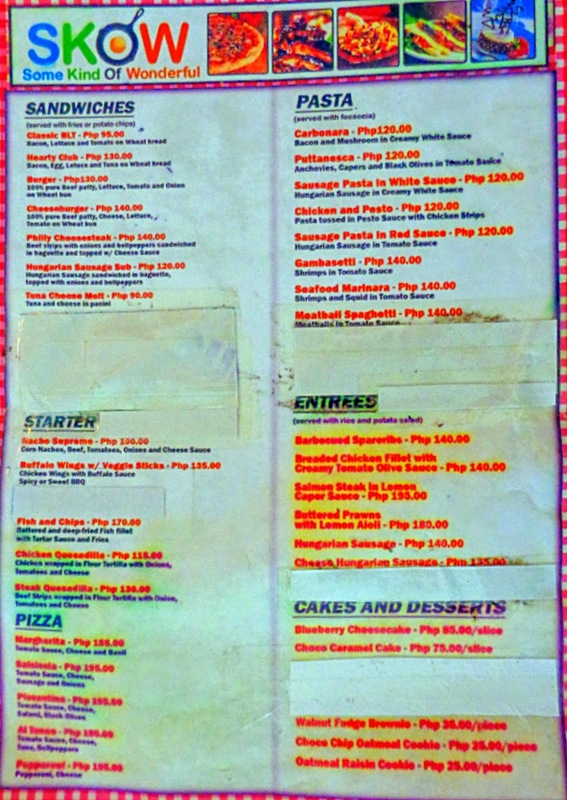 Together with my best buddy, we've decided to try out some of the food offered in this hole-in-the-wall place in Marikina. 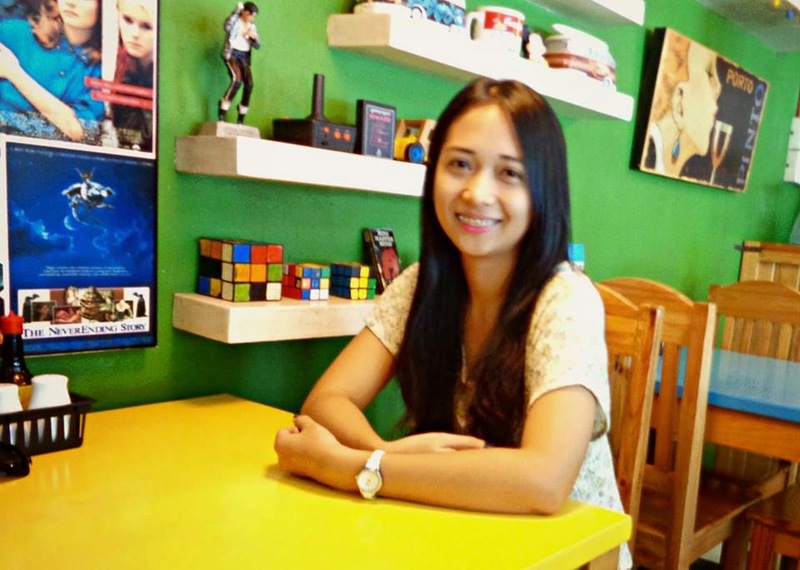 As we entered a seemingly residential area of the becoming popular streets of Lilac and Rainbow in SSS Village, Marikina, we've finally chanced upon the quaint diner --- painted in pastel colors, and adorned with vintage decors. SKOW is inspired in a 1980s movie called Some Kind of Wonderful, thus the name Some Kind of Wonderful Cafe. I'm actually not familiar with the film as I am more of a '90s kid but I was impressed by how the place was designed. 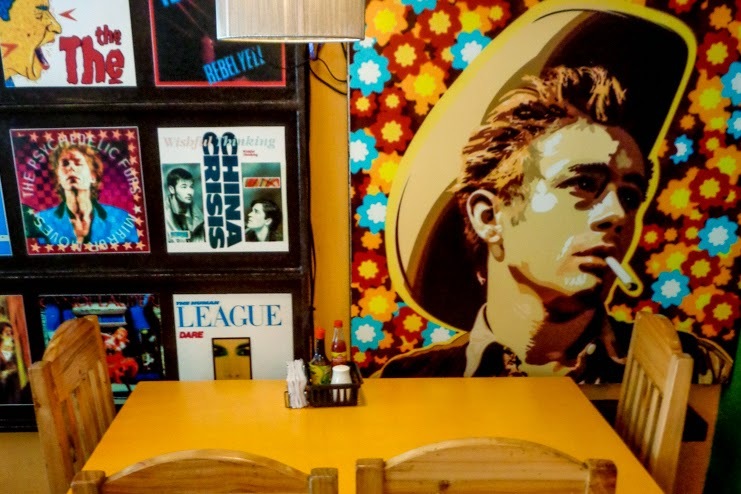 Our eyes feasted on vintage album covers plastered on SKOW's vinyl wall. I am not acquainted with most of the covers but I recognized some of the artists displayed on the wall --- I know The Beatles and The Smiths. 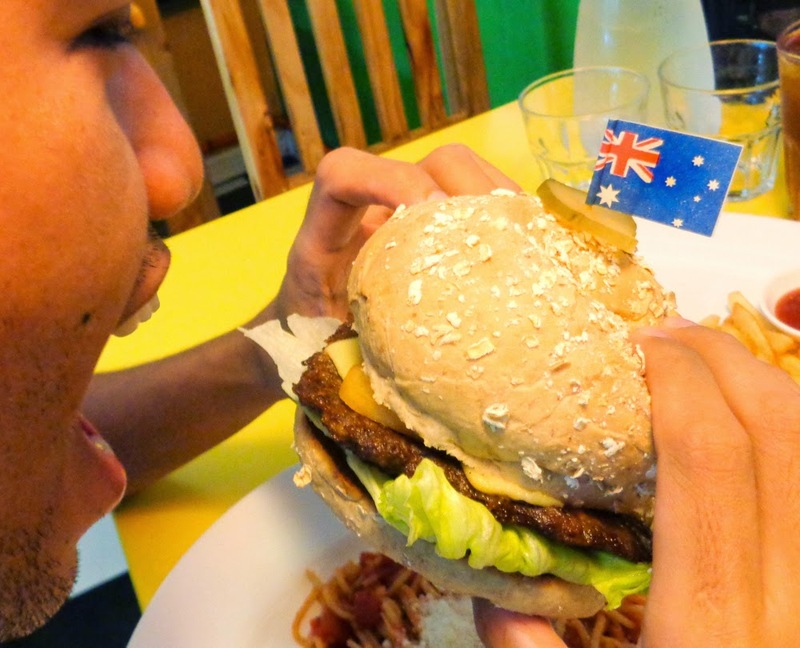 As for the food, we've tried their Cheeseburger, Tonkatsu, Spaghetti and Chunky Munky. 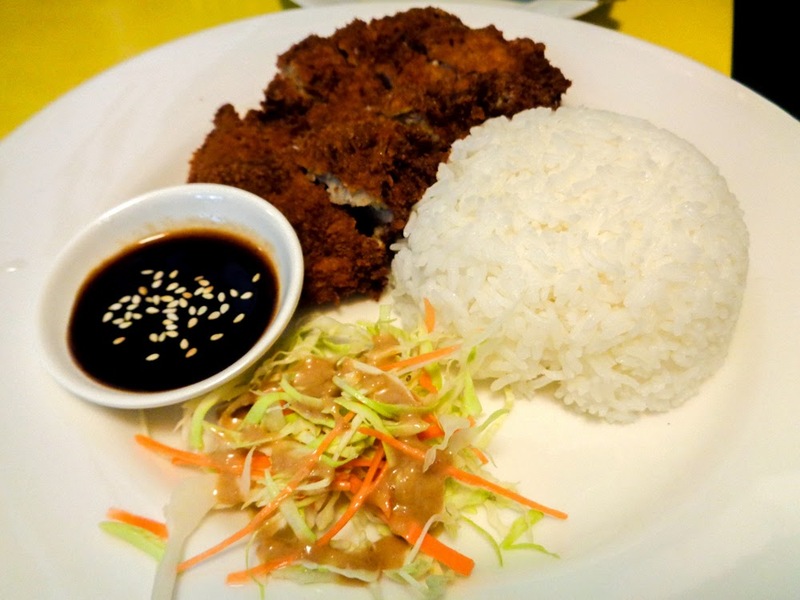 I find the Tonkatsu just so-so. But I love their Cheeseburger, paired with fries and Chunky Munky milkshake very much. 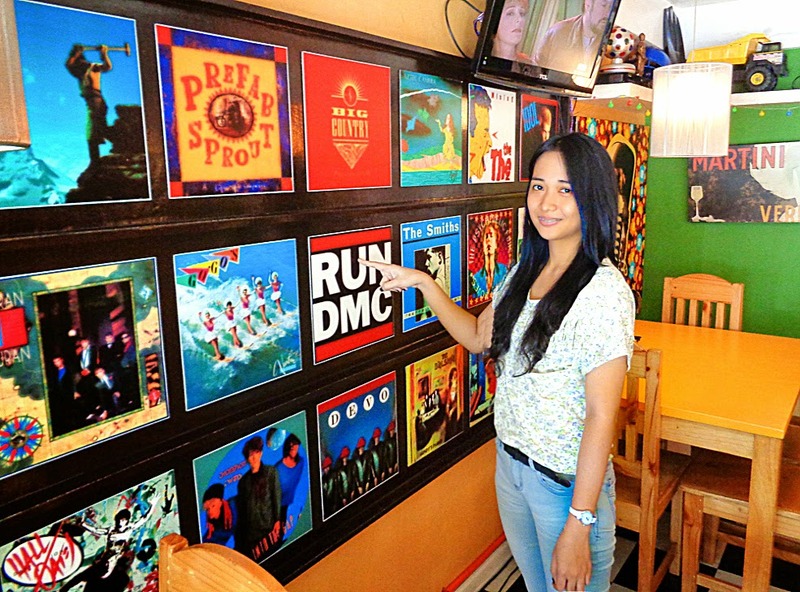 The hippie ambiance really added flavor to our cozy dining experience at SKOW Cafe. Also, the staff were welcoming and very attentive. We'll definitely go back to try out some other dishes listed on SKOW's menu soon. SKOW's location is quite hard to find as it's not along the main road. You'll embark on a mini maze trip if you're not familiar with the streets around Conception Dos. For your convenience, just ask where St. Paul of the Cross Parish is because the cafe is located just across that church. 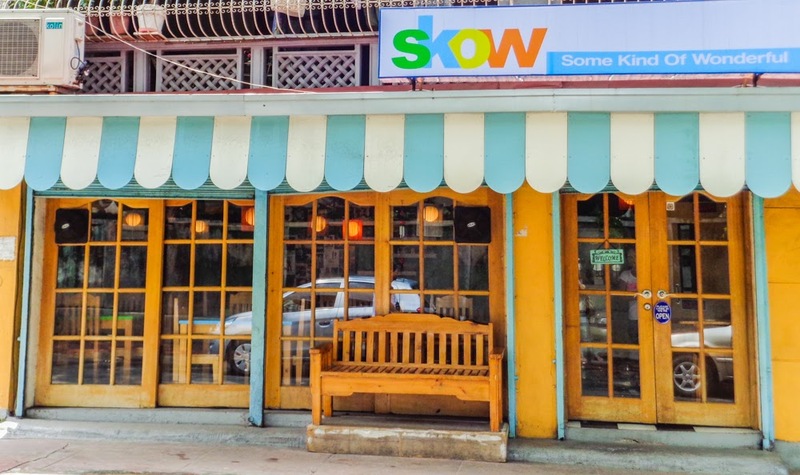 SKOW is a really small cafe but serves a variety of Italian, American and Japanese food at an affordable rate. If you want a quaint, not so crowded, 80's themed restaurant, then this place will be heaven for you. 11 Birch Road cor. Rainbow St.
Perhaps it's the invigorating scenery or the frigid mountain breeze that makes the usual food seem to taste delicious in the streets of Baguio. Aside from the popular pasalubongs like ube jam, peanut brittle and lengua de gato, a trip to Baguio would not be complete without trying out some of its delectable and eye candy food items. 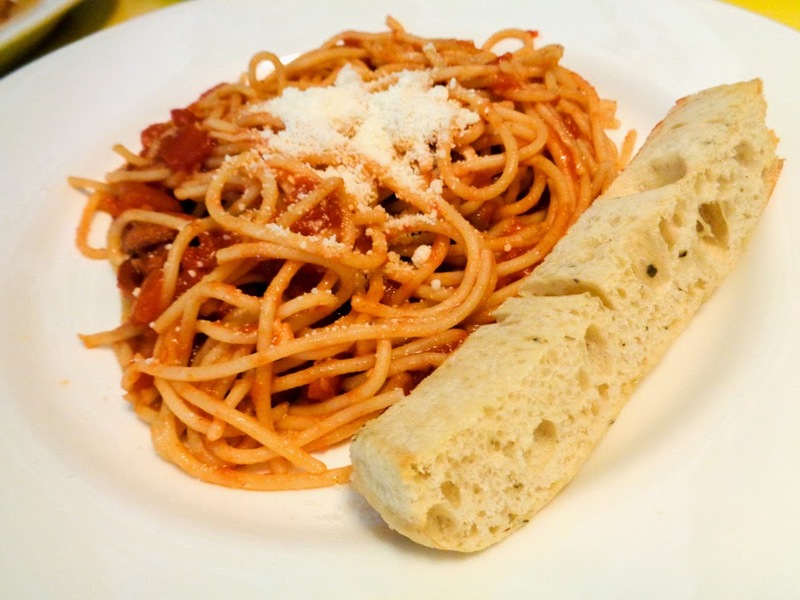 I've listed 3 quirky food finds I've tried during our recent trip to Baguio. 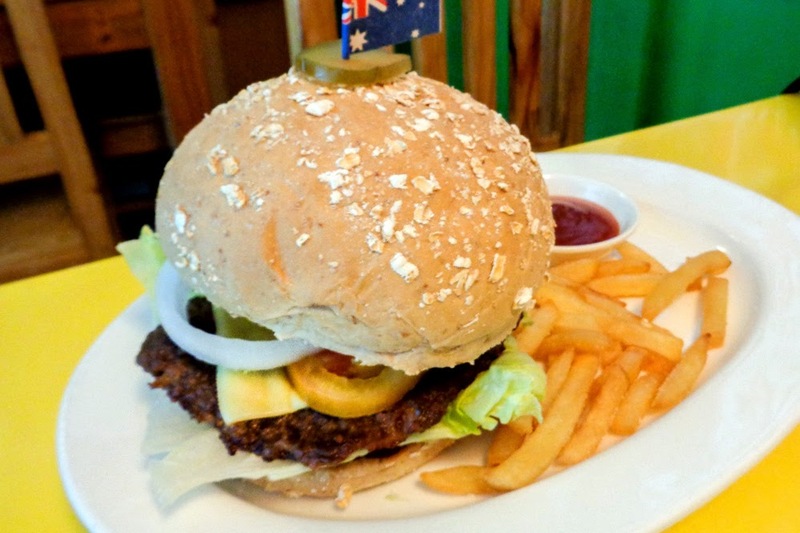 Its dirty sounding name might turn you off but it is actually a "must-eat" in Baguio. 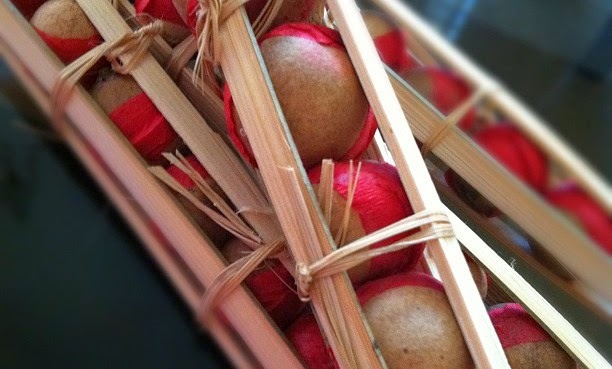 Sundot kulangot is the small version of kalamay, a sticky sweet delicacy made from glutinous rice. The sticky kalamay is covered with miniature coconut shells - which are so small that you need to use your finger to prick or dig the kalamay out, thus the name sundot kulangot. It was 5:30 in the morning when we arrived at the Victory terminal in Baguio. We departed Manila at 11:55 pm. The 6-hour bus ride was a breeze and we arrived in Baguio earlier than expected. 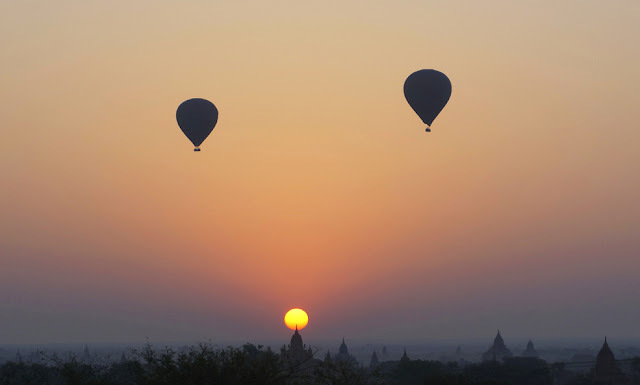 Our original plan was to roam around the city upon arrival to maximize our 2-day vacation. However, we couldn't bare the frigid weather because at that very moment, the sun hasn't risen yet. It was freezing cold and we were tired so we've decided to take a rest first. I inquired at Microtel just beside the terminal if we could check-in early and I was impressed by how they welcomed us graciously. Now that's what you call excellent customer service. I originally booked for an overnight stay at Microtel Baguio. Since it was too early, I was expecting for an additional charge for the early check-in, but the receptionist was very accommodating to let us in as early as 5:30 am with no additional charge. The original room I've booked wasn't available yet, good thing they still had a vacant one (same type of room) at the other floor so we got it right away. Rest of the story was happy ever after (we slept for more than 3 hours and went on a whole day tour and food trip after that). Five months after the 7-magnitude earthquake in Visayas, Bohol tourism is finally on its way to recovery. We recently visited Bohol and I am happy to see that most of the tourism spots of the province are still up and beautiful. Though some of the century-old churches were ruined, they are now being rehabilitated and I'm hoping that in a few months or years time they will be fully restored. Here's a photo diary of our recent trip to one of my best vacation destination on Earth, Bohol. Our first stop for the countryside tour was the Tarsier Conservation Area. Tarsiers in the conservation area were, fortunately, unharmed. They say that the tarsiers sensed the quake coming so they already know what to do and where to hide. On our way to Bilar, we dropped by the famous man-made forest, the 2 km stretch of Mahogany trees located in the border of Loboc and Bilar towns. The 2 km stretch is nothing but dense forest with lush green trees. What a beautiful sight it was. Our third stop was the butterfly garden in Bilar. My grade schooler niece really enjoyed this spot, she had fun seeing live butterflies and learning trivia about them and some other insects. One of most affected Bohol tourist attraction was the world-renowned Chocolate Hills. The earthquake split some of the hills and the viewing platform was damaged. Today, the viewing deck has been repaired and flattened so people can safely enjoy the view of the Chocolate Hills. After that, we went to Sevilla for a nerve-racking experience of crossing the wobbly hanging bridge. 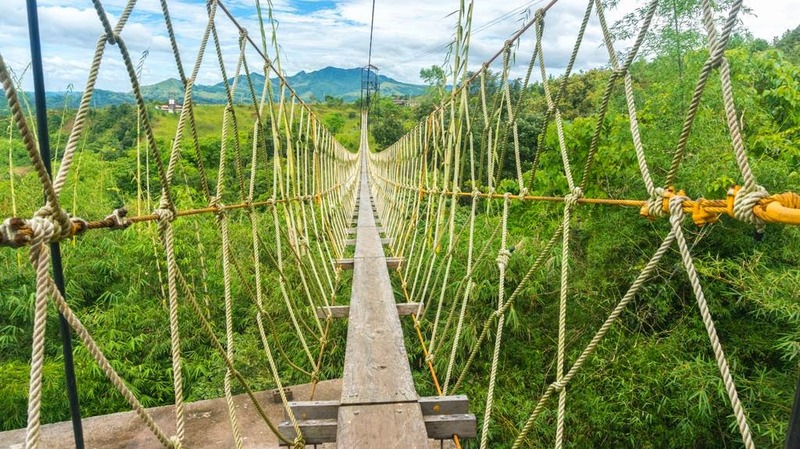 The bamboo hanging bridge was a little shaky but safe. We also bought some souvenirs there. It's a short but definitely one cool stop. After the non-stop visit to some of the famous spots in Bohol, our guide (Ryan) brought us to Rio Verde Floating Resto for lunch and a river cruise. The food was good, nothing fancy, but the cruise down the pristine, jade green river was so relaxing that you might even fall asleep. The Blood Compact Shrine shows the replica of the Sandugo moment between Legazpi and Sikatuna. Behind the monument is a magnificent view of Bohol Sea. This isn't part of the usual countryside tour but I requested our guide to bring us here because it's definitely my favorite adventure park in Bohol. It's my third time to ride the cable car and (whoah) the experience is still as great same as the first time. 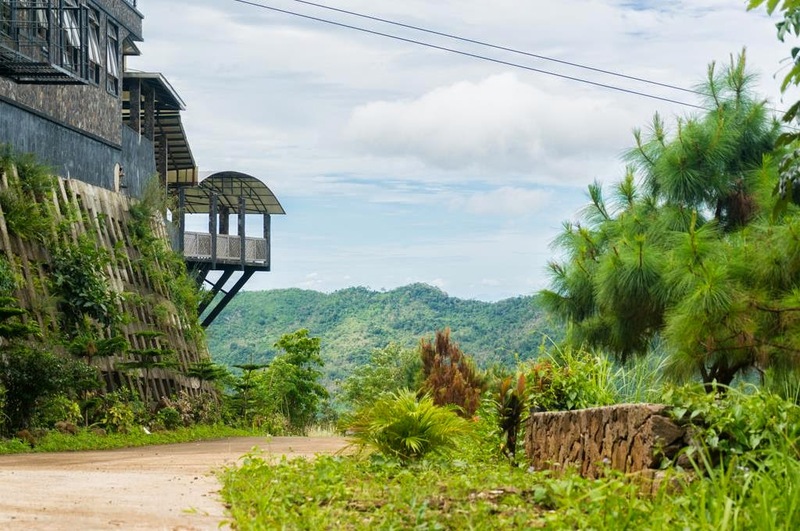 Here's my first Loboc cable car & zipline experience. After the tiring but fun countryside tour, we were brought back to Dumaluan Beach Resort 2, our temporary abode in Panglao, Bohol. It is located in the quiet side of Panglao Island. 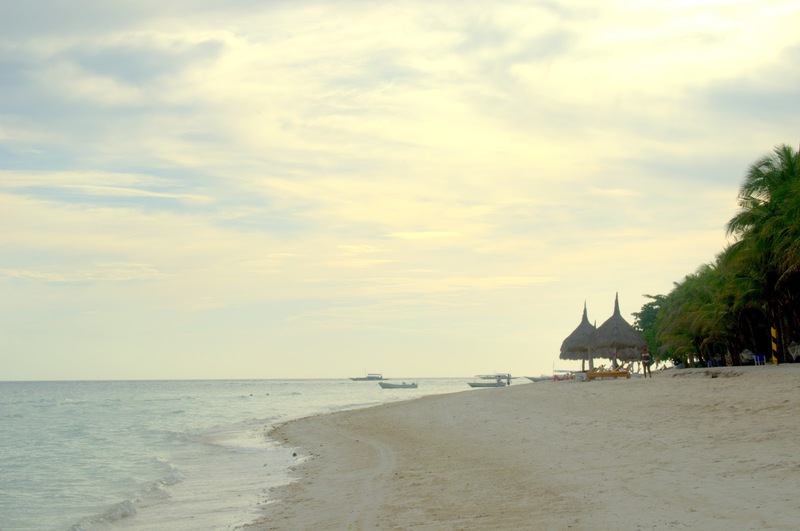 Dumaluan Beach in Panglao has a peaceful setting and holiday mood perfect for retreat and relaxation. Although Bohol was portrayed by the media as a disaster zone, a few months ago, there are still many beautiful spots that could keep Bohol as one of the best in the world. I encourage everyone to visit or re-visit Bohol (if you've been there before) and help the resilient locals by keeping Bohol tourism alive. Enjoy the province's natural wonders, beautiful beaches and meet its friendly and beautiful-souled people. Coron is best known for its great lakes, dive spots and beautiful beaches. But aside from that, it boasts one major land attraction, Mt. Tapyas. Mt. Tapyas is the second highest mountain in Coron. It is 210 meters above sea level, just 14 meters higher than Mt. Manalmon in Bulacan. Last year, typhoon Yolanda devastated some of the tourist attractions in the country. One of which was the beautiful Coron Island and the most visibly damaged was Mount Tapyas. We visited Mt Tapyas recently and I can say that Coron tourism is now back in business. There are still some visible signs of damage but the trail to Mt Tapyas has been repaired. Unfortunately, the giant cross is no longer there. Finding the perfect accommodation for out of town trips can be very time-consuming, especially if you've got lots of good hotels to choose from. But if you're visiting a place like Coron (Palawan) where most activities are spent outdoors, shelling out an excessive amount of money for accommodation is not practical at all. 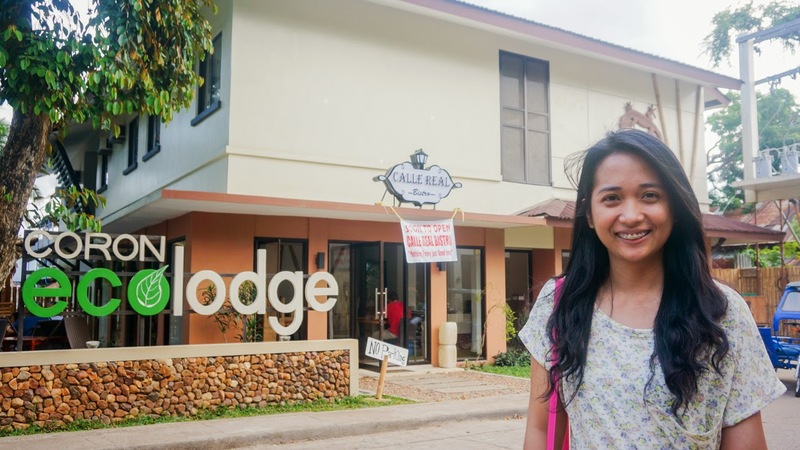 I'm sharing with you an accommodation in Coron which showed us that quality service doesn't need to cost a lot. 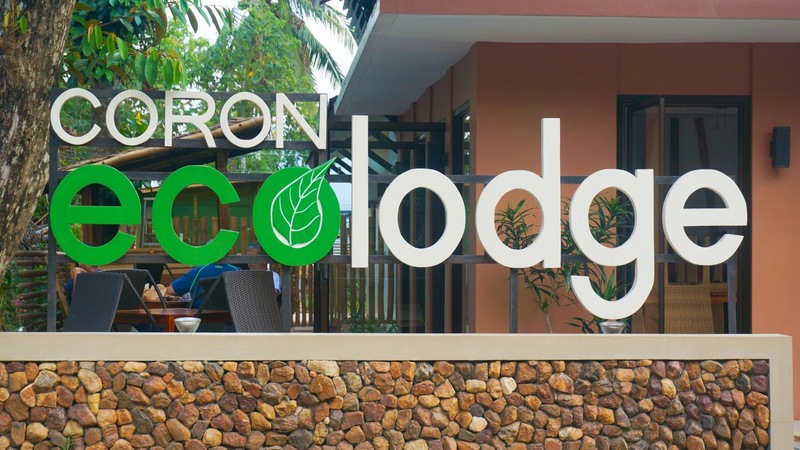 Coron Ecolodge, a place where we've experienced the convenience of a boutique hotel within a backpacker price range. I don't have many photos to show (because we were outdoors most of the time) but I made a list of Coron Ecolodge's 3 good points. For me, Coron Ecolodge has the perfect location. 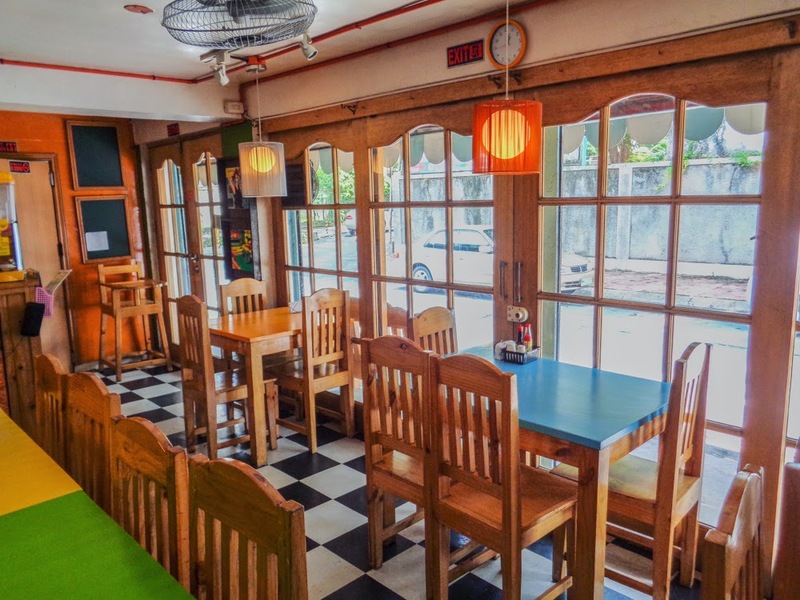 It is conveniently located along the hushed side of Calle Real Street, very near the center of the town. It is basically in the middle of everything you need in Coron. The public market and other establishments like banks, shops, travel agencies and restaurants are within walking distance from the hotel. You won't worry about where to eat or where to buy some supplies or souvenirs. You can roam around the town by foot. Also, it is just a few blocks away from Mt. Tapyas' jump-off point, you can easily visit Mt Tapyas anytime you want. Another strength of this hotel is its value for money. It is perfect for budget conscious travelers. 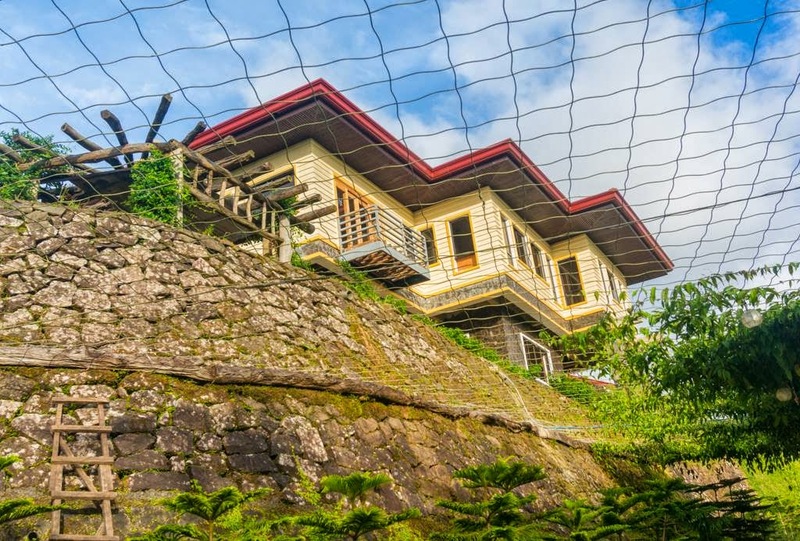 At Coron Ecolodge, you can experience the convenience of a comfortable accommodation at a reasonable price. The current rate is P1598 a night, inclusive of breakfast (and that's for two people already). Pretty good deal, right?! The building is quite small but I love its cozy ambiance, clean rooms and nature-styled decorations. The hotel has basic but nice facilities (private bath with hot & cold shower, wifi at the lounge, free coffee 24/7). Coron Ecolodge has very accommodating staff. They are friendly and helpful. They can arrange everything for you, from tours to transfer services and even to your small requests. We have enjoyed our 2 night stay at Coron Ecolodge. We didn't experience any inconvenience at all, from reservations, to the minute we arrived and up to the time we left the place. 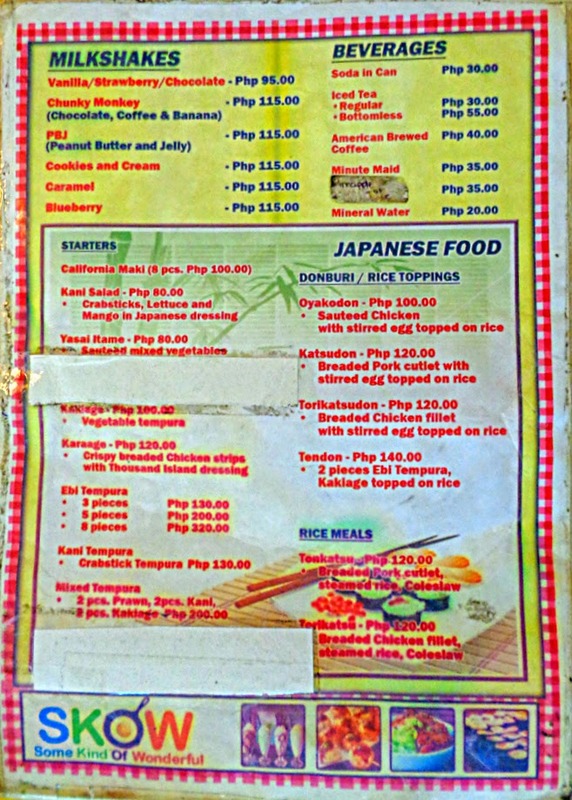 I am more than happy to recommend this place to anyone visiting Coron soon. 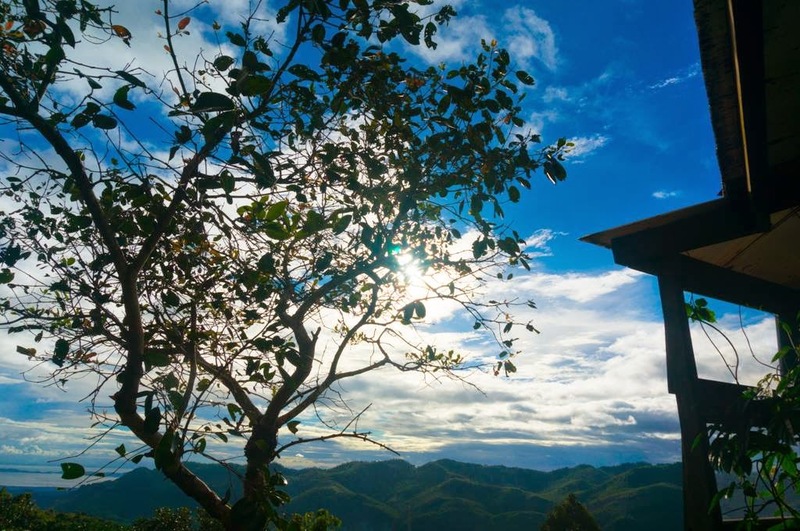 Coron Ecolodge has the perfect location, great service and value for money. We definitely love it there! Also, I am impressed with Coron's tourism system, it is very organized. They have standard rate for tours and transfer services. You won't feel ripped off visiting this place.